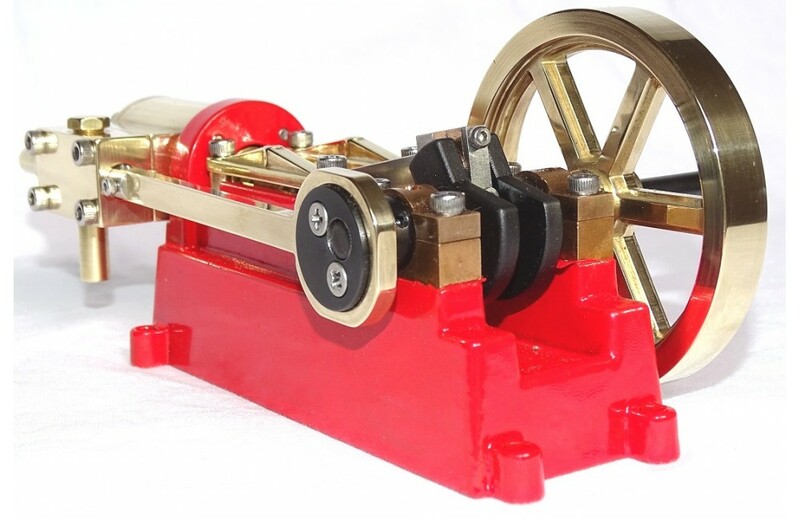 The horizontal single cylinder mill engine is a simple design, yet retains the basic mechanics of engines which powered many mills, factories and mine pits in the nineteenth century. NOTE: Pictures are of the finished, assembled and painted model, this listing is for the kit of parts. 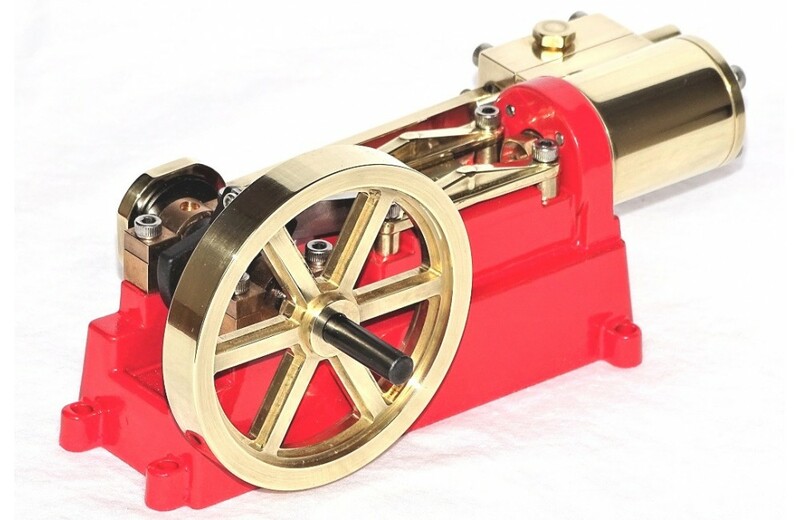 The classic mill engine layout has a double acting cylinder, eccentric driven slide valve and the large brass flywheel offers smooth running and is capable of powering a range of accessories, in a variety of roles. 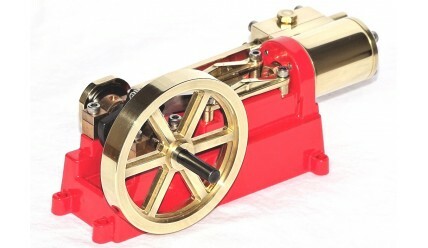 The engine also includes twin split bronze pedestal bearings for the crank shaft and a substantial cast base. The kit consists of precision produced parts each carefully made and checked to ensure reliability in service. 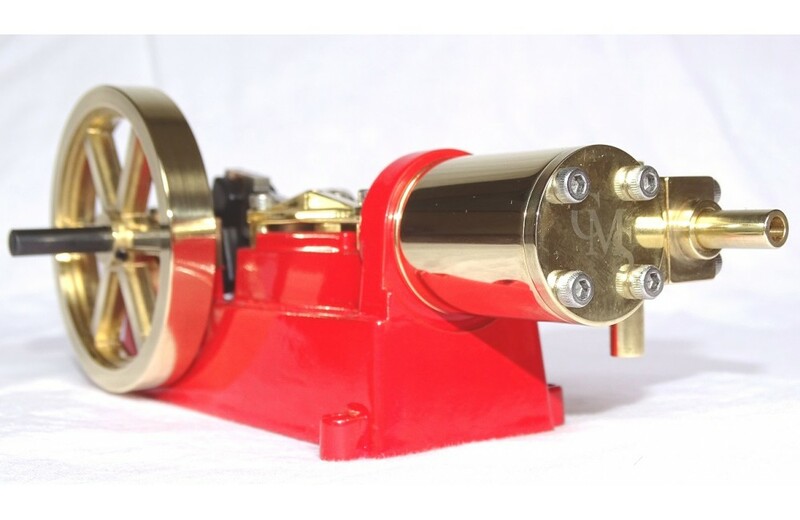 The cylinder assembly, slider and piston is manufactured from brass and the piston shaft, conn rod and valve from stainless steel so are not susceptible to the corrosion. 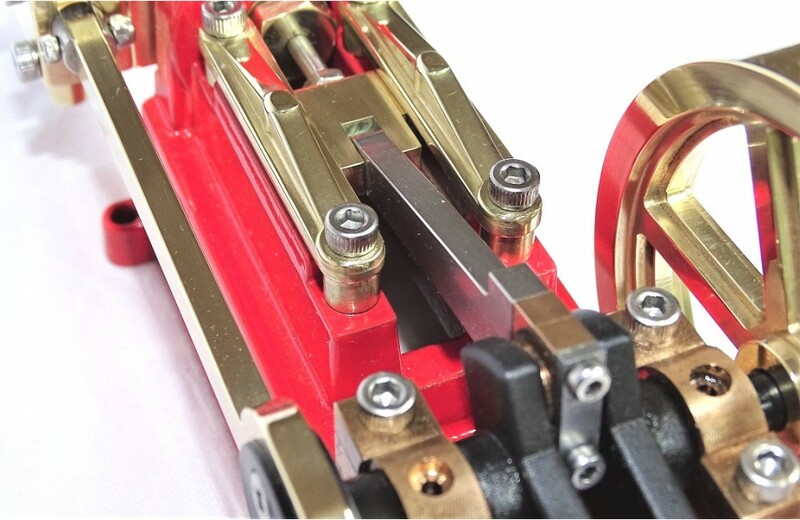 The piston shaft passes through an adjustable gland and the steam inlet can be on the top or bottom of the chest. 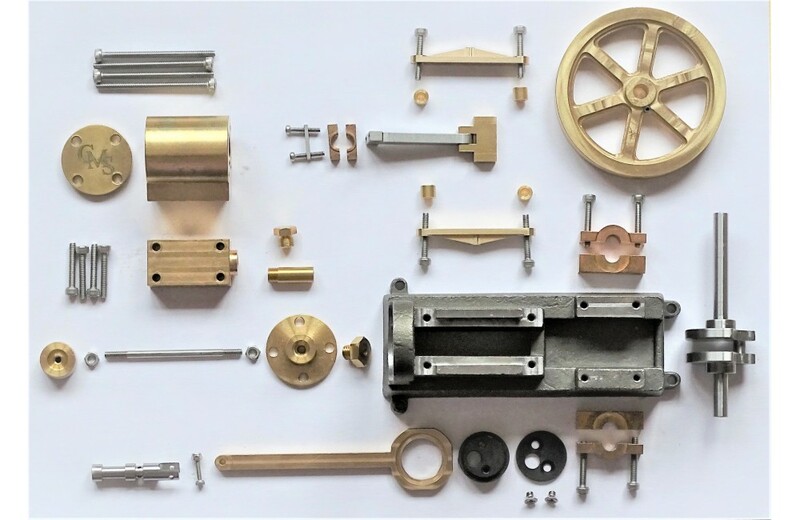 The kit consists of a set of fully machined parts that can easily be assembled using simple tools such as a hex/allen keys, pliers and metal file. The parts are largely unpainted metal parts and will also require polishing/filing to achieve the finish shown in the pictures. NOTE: As per the pictures the kit includes by default a set of socket screws for ease of assembly using hex/allen keys. 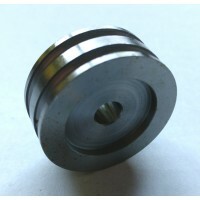 Slot and hex head screw sets are also available as options. 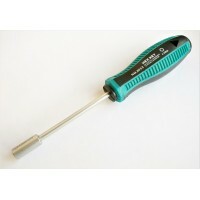 Some screws as provided may need to the cut or filed to length to complete the model. 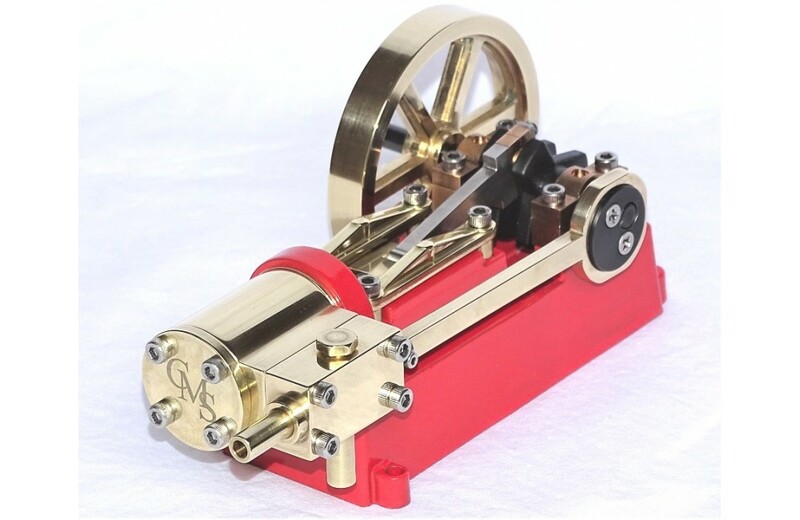 When assembled the engines are fully working and can be can be run using steam or simply using compressed air from hand or foot pumps. 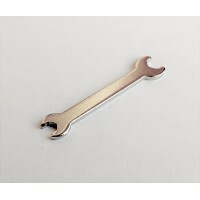 The pulley wheel is designed as a simple add-on to all our engines and can be used to drive all kind..
Small stamped steel spanner for use with M2 and M3 hex head screws/nuts.A basic tool for assembling ..